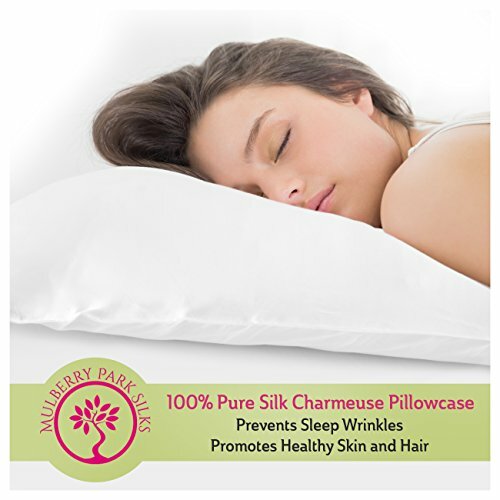 DreamHome Satin Pillowcases help protect and keep your hair silky smooth while you sleep. Constructed of soft, sensuous satin. Set consists of two pillowcases. 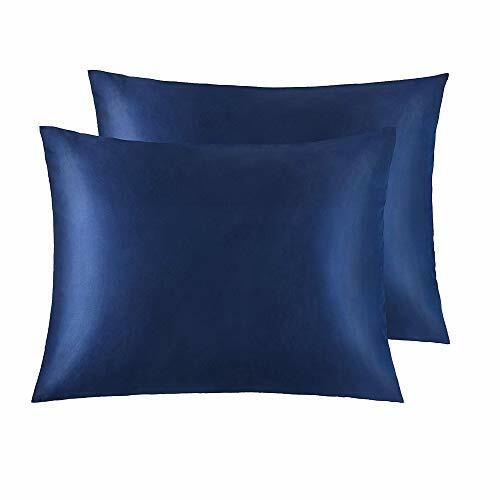 Specification: 20x26 inches Set Including: 2x Standard Size Pillowcases (Pillows are not included.) 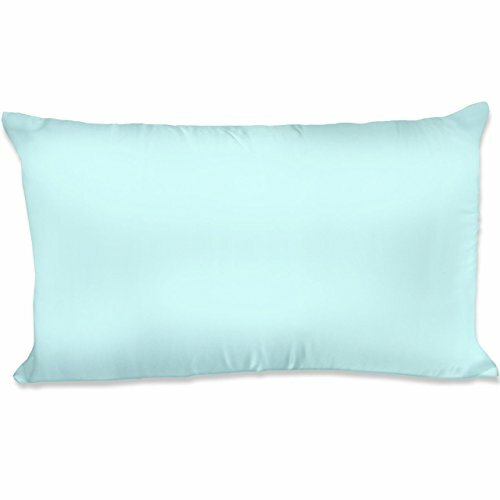 Shipment: Our pillowcases are shipped by Amazon, when you place an order, it will be shipped within three days. Please make sure the payment of the order has been completed, otherwise the Amazon will not be able to handle your order.If you have any questions, please contact us. Company Profile: NTBAY company is a home textiles company that integrates design, development and production of products. Our concept: Color changes our life. We infuse the design concept of nature and abstract art into our products and provide high-class service and exquisite craft to our clients. 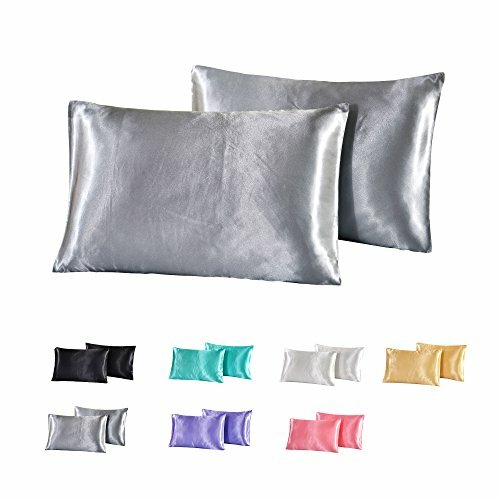 About UsVONTY specializes in Home Textiles that integrates design, quality and innovation of products together.We pursue for better quality and service all the time, wish every customer can live a comfy and healthy life with VONTY, get inspiration for home decor.Why Choose Vonty Satin Pillowcase?1. Great for Hair & Skin: Made of 100% Polyester (satin fabric), pretty silky and soft, do no harm to hair and skin.2. Enjoy Sleeping Every Night: Satin can keep you feel warm in cold and cool in hot to ensure you a sound sleep all night long. 3. Envelope Closure Design: Easy to put on and off. 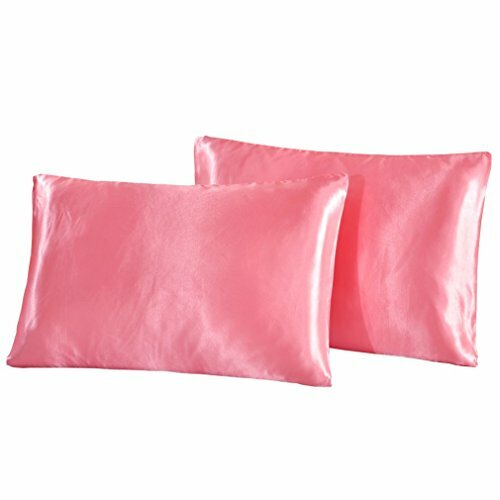 Product Name: Vonty Two-Pack Luxury Classic Silky Satin Pillowcases for Hair and Facial Beauty with Envelope ClosureProduct SpecificationsMaterial: 100% PolyesterPattern Type: Solid ColorMulti Color Option: Pink, Grey, Black, White, Blue, Gold, PurpleAvailable Size: Standard (20"x26"); Queen (20"x30"); King (20"x40")Kindly Note1. Actual color may vary slightly due to differences in monitors and lights. All dimensions are manually measured with a possible deviation of 1-2 cm.2. If you feel confused about size or shipping, please feel free to contact us. We will reply you within 24 hrs.3. We offer a 100% Money Back Guarantee, no need to worry about the return policy. MONEY BACK GUARANTEE - It is 100% free from harmful substances. We think you're going to love this pillowcase Set as much as we do! But in case you don't, let us know, no questions asked, money back guarantee. We want our customers to be 100% happy. IMPORTANT NOTICE 1. Due to the different of color effect between your digital devices and the real world and pillow shams fabric cuts from full comforter/duvet cover fabric randomly, so the actual color depth of the product might look slightly different from what pictured above 2. Please allow 1-5cm error due to manual measurement. Please make sure you do not mind before you bid. Find More WarmGo's pillowcase set or duvet cover set On Amazon,Please Search "WarmGo" on Amazon.com's search field on the top Please make sure the size is fit for your bed or not according my describe measurement first before placing order . A silk pillow case is an absolute must for a beautiful night's sleep. Mulberry Park silk pillow cases are cool in the summer and warm in the winter. They help to prevents sleep wrinkles and aid in keeping hair beautifully styled. This silk case is naturally hypoallergenic and are resistant to mites and mold. Made with 100% Pure Mulberry Long Strand Silk 19 momme (600 Thread Count) OEKO-TEX Certified (Standard 100) to be free of chemicals and naturally dyed with no color shading or fading. CARE INSTRUCTIONS: Hand or Machine Wash in Cold Water on Gentle Cycle. Hang to Dry. Cool Iron. Do Not Bleach. Can Also Be Dry Cleaned. Ideal silk pillowcase for my pillow and all pillows. **PLEASE NOTE: FLandB | Fine Linen and Bath is the ONLY authorized retailer of Mulberry Park Silks products. Items sold by any other retailer are not authentic Mulberry Park Silk products. Why Highdeer Satin Pillowcases?High Quality Guaranteed: We Select High Quality Polyester Fabric, Soft, Lightweight, Breathable and Skin Friendly. It's as soft and comfortable as mulberry silk. It makes Your Hair & Facial More Smooth and Beautiful.100% Satisfaction Guaranteed: We hope our customers are pleased with our products and service. Please feel free to contact us if you have any questions. We will try our best to solve it quickly and efficiently! If you are not satisfied with our pillowcases, just send us an email. 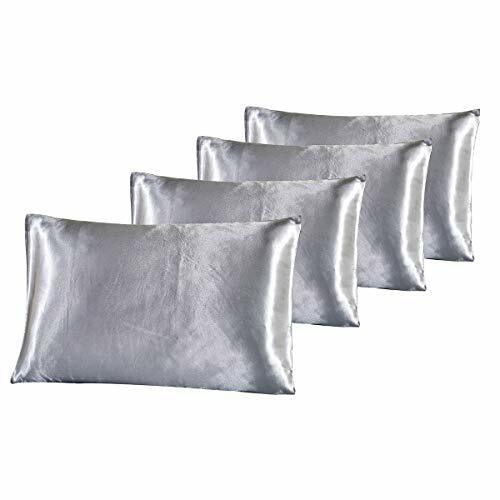 We will offer a full refund.About Pillowcases Size:King Size is 20 x 40 inches - 51 cm x 102 cm, it fits for most king size pillows.Queen Size is 20 x 30 inches - 51 cm x 76 cm, it fits for most queen and standard size pillows.Standard Size is 20 x 26 inches - 51 cm x 66 cm, it fits for standard size pillows.Highdeer - High Quality, Enjoy High Quality Life. Thanks For Your Purchase! 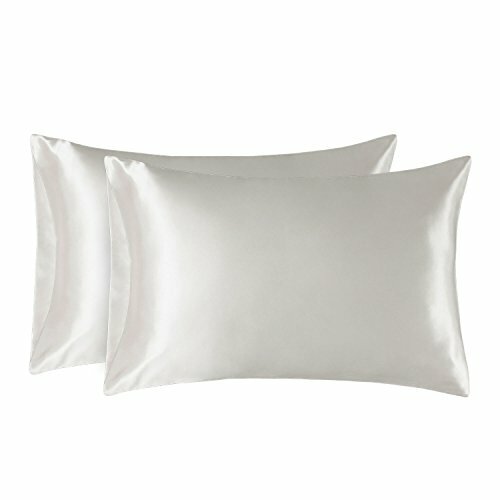 Looking for more Polyester Satin Pillowcase similar ideas? Try to explore these searches: Free Tuxedo Jacket, Axe Deodorant, and Embassy Genuine Leather Shoulder Bag. 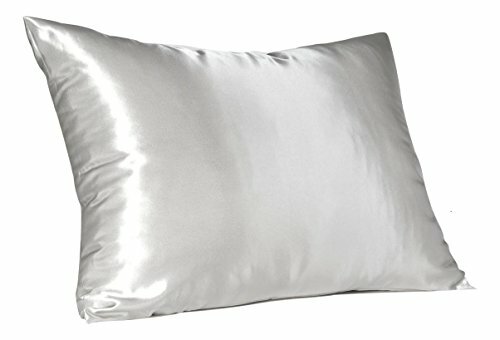 Look at latest related video about Polyester Satin Pillowcase. Shopwizion.com is the smartest way for online shopping: compare prices of leading online shops for best deals around the web. 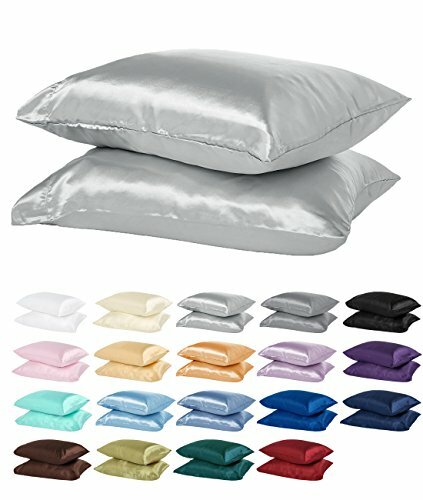 Don't miss TOP Polyester Satin Pillowcase deals, updated daily.